One of the great and greatly missed Sterling Morrison's final appearances on record was playing on a couple of tracks on Luna's second album Bewitched, one of the tracks he appeared on "Great Jones Street" was also recorded for the syndicated radio show Modern Rock Live. This version of the track never got a commercial release but did turn up on a 1994 Modern Rock Live promo compilation. I believe this version was recorded some time in 1994, Sterling passed away on August 30th 1995.
tirbd: Do you have a favorite rock ‘n’ roll and/or tour memoir other than your own? Dean Wareham: I really liked Dee Dee Ramone’s memoir, Lobotomy, and Dylan’s Chronicles. And White Bicycles by folk producer Joe Boyd. 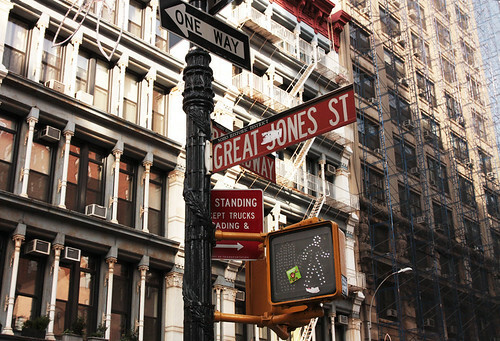 But my favorite book about a rock star is Great Jones Street by Don DeLillo, which is of course a work of fiction. Salon: I noticed that your press release is signed "Bucky Wunderlick." What’s that about? Dean Wareham: That was actually a friend who wrote that — Bill Whitten, who plays in the band St. Johnny. Bucky Wunderlick is a character from out of “Great Jones Street” by Don DeLillo. It’s one of my favorite books. Where did I get “Fuzzy Wuzzy”? I read that phrase in a Don Delillo book. Somebody says, “Can you show me your fuzzy wuzzy” to a woman. Not Fuzzy Wuzzy was a worm.